I think it is important to get the opponent's view (or at least that of their writers) of any contest - win or lose. The following block quotes are via The San Francisco Chronicle's Connor Letoureau. But in their 115-111 win Saturday over the Celtics at TD Garden, the Warriors shed their air of invincibility — for one night, at least. Boston, the preseason Eastern Conference favorite, weathered a slew of Golden State rallies, made timely second-half stops and nearly handed the Warriors their first defeat in more than three weeks. 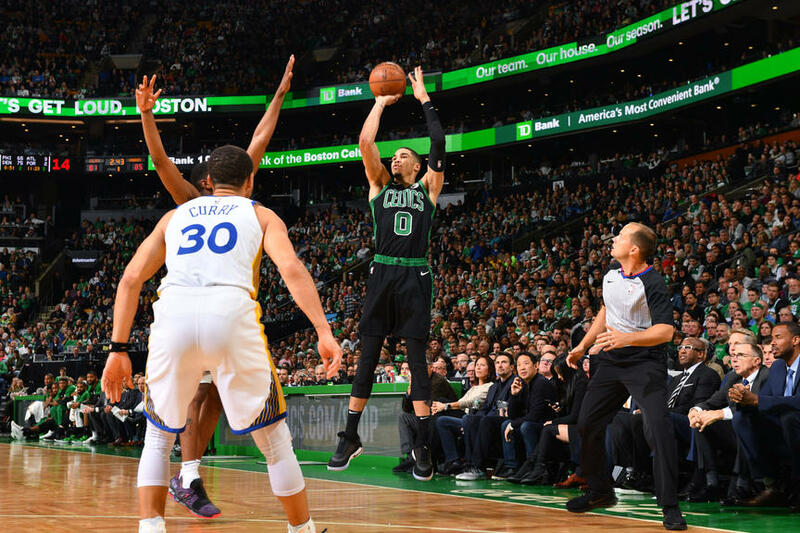 Not until Stephen Curry hit two free throws with 6.2 seconds left and Boston’s Kyrie Irving missed a desperation 3-point shot did Golden State finally seal its 10th consecutive victory. And this wasn’t a case of the Warriors’ own inattention allowing an inferior opponent to hang around. Golden State was its dynamic self for extended stretches, only for the Celtics to showcase one of the league’s stingiest defenses and push the back-to-back NBA champions to the brink. Sounds like Connor Letourneau agreed with me for the most part. Here is more from him. To escape with the victory, the Warriors needed inspired performances from Durant (33 points, nine rebounds), Curry (24 points), Thompson (21 points), Cousins (15 points, eight rebounds in just 23 minutes) and Green (11 rebounds, eight assists). They seemingly responded after their litany of defensive miscues in Thursday’s win over Washington and held the Celtics to 41.4 percent shooting. The problem: Golden State labored with Boston’s switch-heavy defense and deviated from its pass-happy blueprint. For the first time in six games, the Warriors failed to eclipse the 30-assist mark, settling for 23. Boston's switching defenses causing GS to back off from their passing game to some extent is interesting. And starting five All-Stars doesn't help the Celtics cause one bit. Cousins is still recovering from his Achilles injury, and getting used to the Warriors offensive and defensive schemes. He will only get better. The Warriors are 6-3 against the Celtics since Kerr took over before the 2014-15 season, but five of those wins came by three, five, five, four and four points. Boston, it appears, has narrowed the talent gap. With the Warriors steamrolling the competition most nights, NBA fans desperate for a new champion might look to the Celtics to dethrone Golden State. Opposing View may be a new series after many Celtics games - where I go to the opponents' home-town writers to get their ideas and thoughts. Looks like we are getting a lot of respect from Golden State and their fans and writers. That was a close one last night.